Although her father Chris was one of the most successful domestic riders in the 1990s, Jessie Walker is looking at making a name for herself, too. Having finished her A Levels last summer, 19-year-old Walker is hopeful that her first proper winter of training will help her be competitive when the racing season starts. “The biggest difference is the time that I can rest. Whereas before I was normally busy when I wasn’t on my bike, I’ve been able to have a more normal structure to my training,” said the Matrix Fitness-Vulpine rider, who is in her third year of racing. “I’m doing a lot more riding in the week, too. There are a lot of chaingangs in the area – one on Tuesday normally has Russ and Dean Downing, Ben Swift and Graham Briggs in it, which is a really good workout. Not content with taking to two wheels with some of Britain’s best, Walker recently got to spend a day in the saddle alongside 2006 Tour de France winner Oscar Pereiro for a film promoting the Harewood House Festival of Cycling. “I played the role of a fan who is really excited about the Tour de France coming to Yorkshire,” she said. 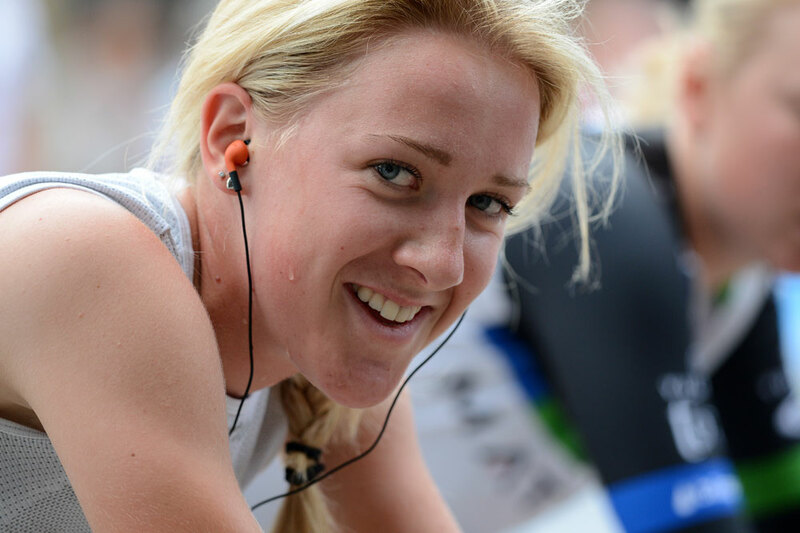 With the dominant Brit of 2013 Hannah Barnes moving to America this winter to ride for the UnitedHealthcare team, there is an opportunity for riders to step in the void she left. And Walker hopes that a good season will give her a springboard upon which she can progress through the ranks. “You only have to look at what Hannah did to see what can happen if you win races in Britain. She’s in America now, my former team-mate Emma Grant is back there again, too, and getting interest from bigger teams is what everybody wants,” said Walker.